Visit one of our machines in person anytime! Notre Dame des Quilles, 32 Beaubien E. (corner St-Laurent) -- Temporarily inaccessible! Riso Boto zine series launch ! Le Cheval Blanc – 809 Ontario Est, free. 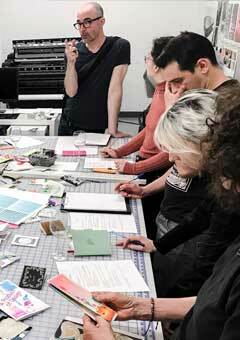 A group launch for ten new Risograph zines created for the Distroboto machines as part of the Riso Boto workshops! Come out to get your copies of these rare limited-edition, numbered zines and meet the artists themselves! Click here for a photo gallery of the Riso Boto workshops held in 2019. After months of research and workshops exploring the potential for integrating augmented reality with printed art, we’re very excited to share the results! Montreal’s internationally reknowned expert in the field, James Kerr, well-known as Scorpion Dagger, has been making augmented reality prints and books since 2015. He will be presenting and explaining various works of his and discuss the recent evolution of augmented reality technology and where it may be headed. 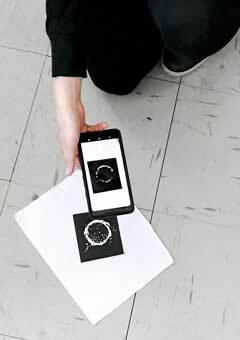 Click here for a photo gallery of images of the AR workshops held for this project. 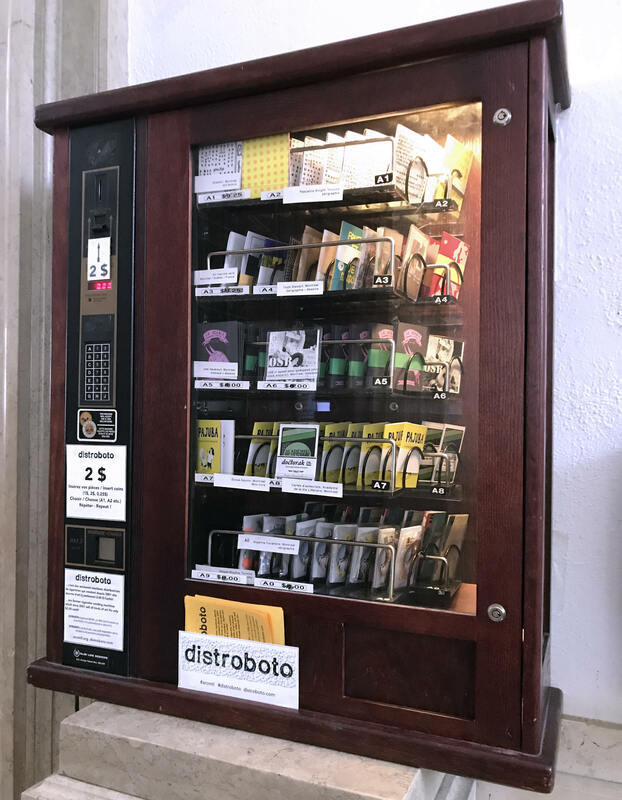 DISTROBOTO machines are former cigarette machines which no longer sell cigarettes, but instead, sell art in the form of miniature books, crafts, comics, music, film, animation and more, all for only $2.00 each! Any artist or creative person can submit work to sell through Distroboto (and you don’t have to be from Montreal to take part!). For more information, including how to take part in the project, check out the FAQ, read about the project's mandate and history or contact us by email at distroboto@arcmtl.org.